How Long Do I Have To File a Drink Driving Lawsuit? For Illinois drunk driving accidents, you have two years to file a lawsuit for personal injuries or wrongful deaths and five years to file for property damage. What Are The Timelines For Drunk Driving Causes Of Action? What Do I Have To Do Before My Deadline Ends? What If I Don't File My Illinois Drunk Driving Suit On Time? Worried Your DUI Case Might Be Too Late? Generally, all lawsuits for personal injuries related to drunk driving accidents in Illinois need to be filed two years from the date of the incident. 735 ILCS 5/13-202 (2010). However, that time period does not start until you know or should have known about the existence of the cause of action in the first place. Del Bianco v. American Motorists Ins. Co., 73 Ill. App. 3d 743, 747 (Ill. App Ct. 1979).All lawsuits for property damage related to drunk driving accidents in Illinois need to be filed five years from the date of the incident. 735 ILCS 5/13-205(2010). All lawsuits for wrongful death related to drunk driving accidents in Illinois need to be filed two years from the date of the incident and that clock begins running when the victim dies. (740 Ill. Comp. Stat. 180/2 (2010). For survival actions brought on behalf of decedents of drunk driving accidents, plaintiffs have either the limits for the underlying claim itself or one year from the decedent's death, whichever is later. 735 ILCS 5/13-209(a)(1) (2010). To sue an establishment for injuries under the Illinois Dram Shop Act, plaintiffs have one year from the date of the drunk driving incident to file a lawsuit. 235 ILCS 5/6-21 (2000). Investigate: Find all the facts and witnesses you'll need for trial. Research: Study the laws and cases that will afford you the most relief. Draft: Write the complaint that spells out your injuries and right to recovery. File: Present your completed lawsuit to the proper courthouse on time. These tasks will fundamentally shape your work before trial. Of course, with the aid of competent counsel, you can be sure to perform all of them with skill and speed. In most cases, if you don't file your Illinois drunk driving lawsuit within the amount of time set by the statute of limitations then you will not be able to file it at all. This means the door to recovery will completely and forever be barred. However, in some cases, you might be granted additional time. For instance, if you could not reasonably discover your injuries for a certain period of time after the accident, then you would have a little more than two years to file. Also, if the defendant wrongfully concealed facts that precluded you from realizing your injury, then you would get to file beyond that original allotment. Yet, drunk driving events are typically so open and obvious that these exceptions rarely apply and you should work to ensure that you file before the appropriate statute requirement. Rosenfeld Injury Lawyers LLC helps victims of drunk driving accidents file their cases on time. We can do the same for you. Plus, we can fight by your side in court on a contingency-fee basis so that you get expert counsel for free until you are happy with the outcome of the case. Your recovery is within reach. Reach out and grab it today by calling the Rosenfeld Injury Lawyers LLC. Do I Have a Civil Claim For Damages Against The Intoxicated Motorist Who Injured Me? How Are Drink Drivers Punished In Illinois? How Can Rosenfeld Injury Lawyers Help Me If I Have Been Injured In a Drunk Driving Accident? 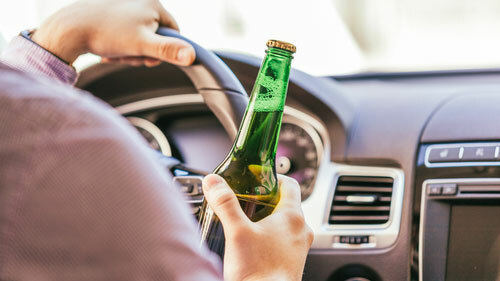 What Are The Facts About Drunk Driving Accidents? What Are The Laws Surrounding Drunk Driving In Illinois? What Have Other People Injured In Illinois Drunk Driving Accidents Received? What Type Of Damages Can I Recover From a Drink Driving Case Under Illinois Law? 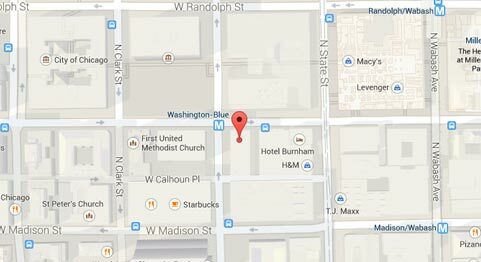 Where Are Most Illinois Drunk Driving Lawsuits Filed? Who Is Responsible For Drunk Driving Accidents? What is the law for alcohol impaired drivers in Illinois? Can I file a civil lawsuit against the impaired driver? What type of damages can I recover for a drunk driving accident? How long do I have to file lawsuit for a personal injury case involving DUI? How much money have other people injured in DUI accidents received?